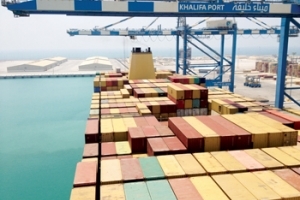 Abu Dhabi Ports is implementing a brand-new terminal operating system (TOS) which will enhance the general cargo operations at the emirate’s ports, significantly improving processing times and the full range of customer service offerings. Oman towage deal awarded PSA Marine Qalhat, a joint venture between Singapore-headquartered PSA Marine and Oman-based Golden Dunes International (GDI), has won a 10-year contract to provide towage services at the marine terminal of Oman LNG in the Sur area of the sultanate. 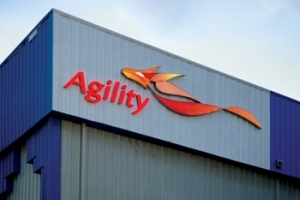 Agility, the Kuwait-based global logistics and logistical infrastructure provider, has broken ground on the construction of a distribution park on a 40 acre site in the Tema Port Free Trade Zone Enclave in Accra, Ghana. NATIONAL Aviation Services (NAS), a fast growing growing ground handling company in the emerging markets and a subsidiary of Agility, has reached a new milestone in its expansion with its first contract award in West Africa. With the new contract, NAS has now expanded its operational network to 16 stations in nine countries.